Uninsured motorist coverage pays for bodily injury and property damage if another driver involved in an accident does not have auto insurance. Motorists often pay extra for this coverage, and some states require every driver to have it. You can make a claim under this provision without worrying that your insurance company will cancel your policy. State laws vary as to whether insurance companies can raise rates based on uninsured motorist claims. If the other driver was at fault for an accident and did not have insurance, your insurance rates might not rise. Your insurance rates usually don't rise unless you are at fault for an accident, and depending on state law, it may be illegal for the insurance company to raise your rates if you were not at fault, regardless of whether the other driver had insurance. However, if it is legal to raise rates, the insurance company may do so at its discretion. In addition, some insurance companies raise your rates if you make too many claims in a year, regardless of fault. If the other motorist has insurance, but his insurance doesn't cover your medical bills or property damage resulting from the accident, you can file a claim using underinsured motorist coverage. Underinsured motorist coverage works similarly to uninsured motorist coverage; it allows you to file a claim against your own insurance for the amount the other motorist's insurance does not cover. As with uninsured motorist coverage, your rates may or may not rise. If an uninsured motorist causes an accident, he is liable for your bodily injury and property damages. 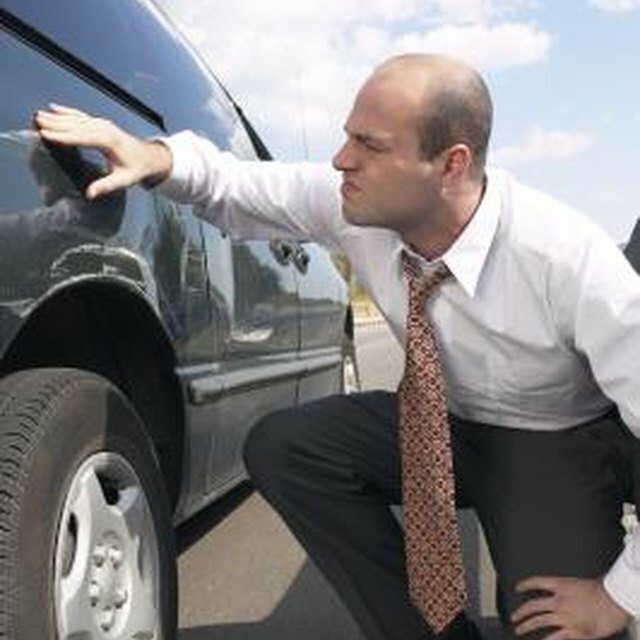 You can either make a claim against your uninsured motorist coverage or sue the uninsured motorist for the damages. If you sue the motorist, however, you risk receiving no compensation even if you win the lawsuit, as the motorist may not have any assets to attach to a judgment. Thus, it may be to your advantage to make a claim against your insurance regardless of whether your rates will go up. Check with your insurance company to find out your limits for uninsured or underinsured motorists. Although these coverages are mandatory in many states, in some they are not, so if your policy does not include them, ask for them. If you are involved in an accident with an uninsured motorist, make a claim against your uninsured motorist coverage when you report the accident to your insurance company. Kaufman Law: Will My Insurance Premiums Increase If I Make an Uninsured Motorist Claim? Car Insurance: Will an Uninsured Motorist Claim Raise My Insurance Rates?